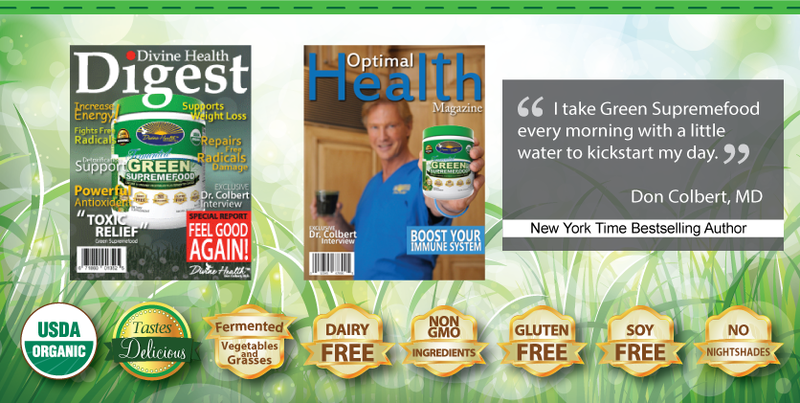 Fermented Green Supremefood is a USDA organic green drink powder manufactured by Divine Health and doctor-formulated by New York Times Bestselling Author Dr. Don Colbert. 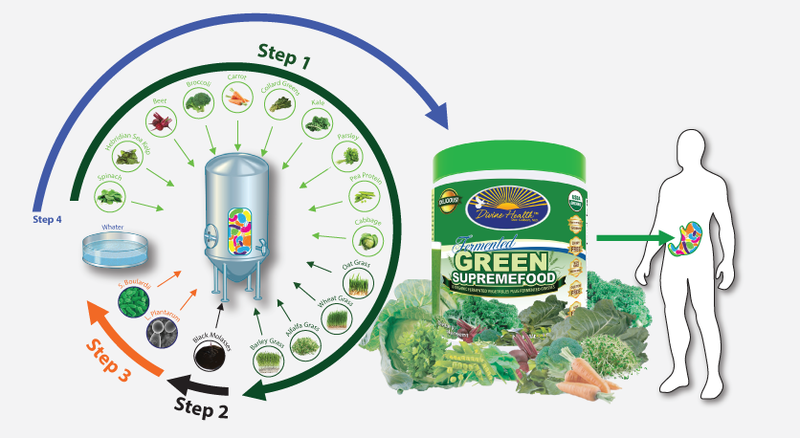 Fermented Green Supremefood is superior in nature due to the 3-day fermentation process the vegetables and grasses undergo. This fermentation process breaks apart the vegetables and grasses making the vitamins and antioxidants easily digested and absorbed. The Organic berfound in Green Supremefood™ improves satiety and supports healthy glucose levels. The chlorophyll found in Wheat Grass, Spirulina and and chlorella create an alkaline environment in the tissues optimizing detoxicatio. The chlorophyll found in Wheat Grass, Spirulina and and chlorella supports an alkaline environment in the tissues This process helps with detoxication.